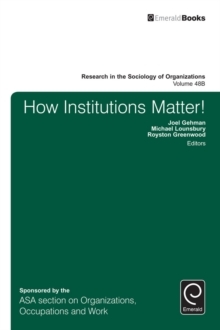 This double volume presents a collection of 23 papers on how institutions matter to socio-economic life. The effort was seeded by the 2015 Alberta Institutions Conference, which brought together 108 participants from 14 countries and 51 different institutions. The resulting papers delve deeply into the practical impact an institutional approach enables, as well as how such research has the potential to influence policies relevant to critical institutional changes unfolding in the world today. 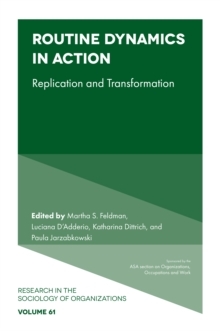 In Volume 48A, the focus is on the micro foundations of institutional impacts. 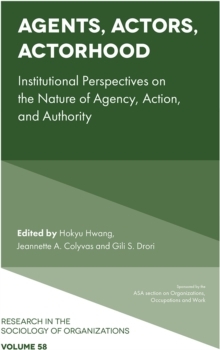 In Volume 48B, the focus is on the macro consequences of institutional arrangements. Looking across the two volumes, there are multiple theoretical, conceptual, methodological and practical points of convergence and divergence. 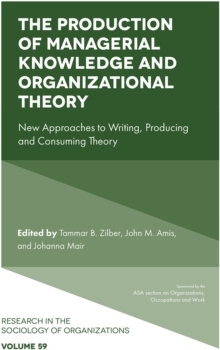 Overall, the volumes highlight the many ways in which institutional processes and institutional researchers can contribute to our understanding of the micro foundations and macro consequences of institutions and their impacts on a wide variety of globally pressing issues, while also identifying a variety of fruitful directions for knowledge accumulation and development.